« Slumber, Party. Join us on March 4th. It is time for our annual white sale: visit our store between Friday July 18th and Saturday August 2nd and receive 20-75% off everything that we have in-stock. We will be well stocked as usual with bedding from Sferra & Peacock Alley, as well as favorites such as Abyss Super Pile towels, Bernardaud china, and unique decorative pieces from Jan Barboglio and Match Pewter. Shop early for the best selection and the best chance at some of the more head-turning items on our sales floor, such as the Bella Notte bed pictured below. As of right now the Zia duvet cover pictured (king-size, only one of them) as well as corresponding shams are in-stock and on display. 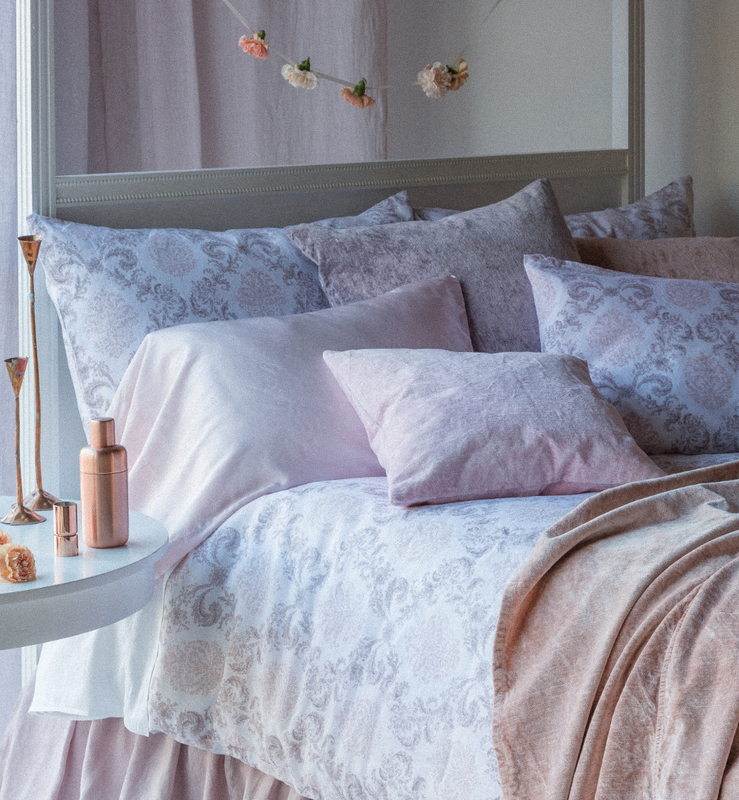 Zia features a vintage damask pattern over linen, and like all Bella Notte bedding it is manufactured, dyed, and finished by community crafts people in the San Francisco bay area. Note: Sale prices are available in-store only. All sales final. This entry was posted on Wednesday, July 16th, 2014 at 10:25 pm	and is filed under Official Updates. You can follow any responses to this entry through the RSS 2.0 feed. You can leave a response, or trackback from your own site. previous entry: Slumber, Party. Join us on March 4th.